Japan’s most established beauty brand with a strong international presence, Shiseido, turns 145 years old next year. It boasts a rich history: Founded by a former head pharmacist of the Japanese Imperial Navy, Shiseido pioneered the use of skin-softening products with Eudermine lotion in 1897 (still a best-seller today); and skin-brightening concoctions with Peroxide Cucumber (Japan’s first skin-whitening product first launched in 1917). Besides its namesake label, Shiseido is also the parent company of at least 40 brands, including the premium Cle de Peau Beaute, Maquillage to drugstore labels Majolica Majorca, Anessa and Aqualabel. So if you are obsessed with beauty and happen to be in Tokyo, it would be worth your while to head to its flagship store, Shiseido The Ginza (1F-3F, 7-8-10 Ginza, Chuo-ku, Tokyo 104-0061; tel: 03-3571-7735; open 11am to 8pm everyday). Set aside at least three hours (or more if you want a pampering facial and spa session) to fully explore this building and Shiseido’s adjacent ones; more details on that below. 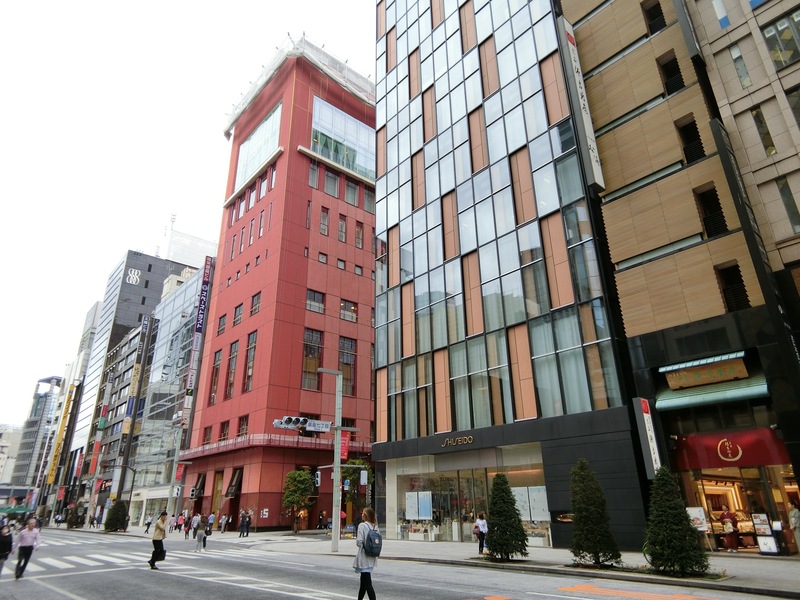 Launched in 2011 to mark its 140th anniversary, the three-storey Shiseido The Ginza carries all the Shiseido beauty brands (except for most of its international acquisitions such as Nars and Laura Mercier). At Beauty Marche, the first floor of this beauty wonderland, you get to try a selection of Shiseido’s products that are displayed by category. Like a mall, it also stocks complementary accessories. On the second floor, there is the Bihada Lounge for personalised skin and makeup consultations, a salon for primping and grooming, as well as a photo studio for glamour shots. Art is intrinsically linked with the Shiseido brand, so you might find installations such as this set of stools that depict the beauty of mundane objects, in the store. On the third floor, there is the indulgent Espace Cle de Peau Beaute; where every product from this luxe label is available; along with private rooms for facials, body massages and other beauty treatments. The Shiseido adventure does not end at Shiseido The Ginza. Head across the road to The Shiseido Parlour (the red building), for its famous cheesecakes, chocolate ganaches, and other sweet treats. Either pack them away for friends, or head upstairs for tea. Or choose to have a leisurely meal at their fine-dining Shiseido Parlour Restaurant on the fourth floor. For a more cultural take on the Shiseido brand, walk three blocks down to the Hanatsubaki Hall, another Shiseido Ginza Building (yes it is a little confusing with the similar names, so just ask the Shiseido staff for directions; address: Ginza 7-5-5, Chuo-ku, Tokyo; tel: 03-3575-5431; open: weekdays 11am to 7pm). There, you get to visit the exhibits of the season. Such as the Les Parfums Japonais show which runs till Dec 22, 2016. The fourth installment of the “Beauty Crossing Ginza” series, Les Parfums Japonais showcases about 50 elegant postwar perfume flacons. I wonder if they could have services in English for the Beauty Marche and Bihada Lounge.. if yes, I’m definitely going there next month!